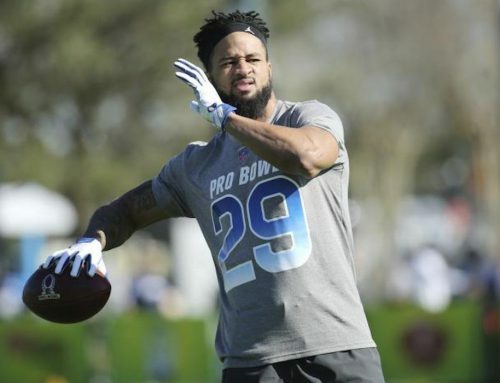 One day in the future Earl Thomas might call on the Dallas Cowboys to “come and get him” for real. 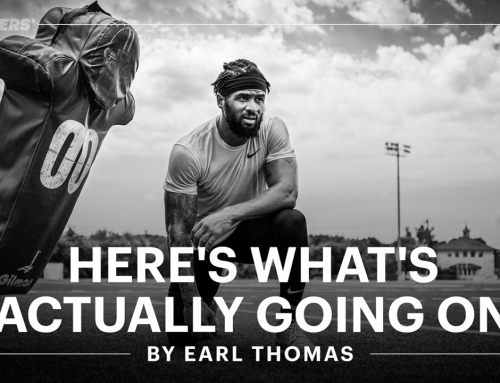 But right now, Earl and his Seahawks teammates are focused on going and getting a playoff spot. ET and his mates eliminated his childhood team, the Cowboys, from playoff contention on Sunday with a 21-12 road win in Dallas. And in the process, they kept their own slim postseason hopes alive. Now Earl and the Hawks must get a little help from an old rival, the Carolina Panthers. A Panthers win next week over Atlanta, combined with a Seattle win over San Francisco, would send the Seahawks to the postseason for the sixth straight year. And despite all the noise about his postgame chat with Dallas coach Jason Garrett, that and that alone is what’s on Earl’s mind right now. And the Seahawks shouldn’t want No. 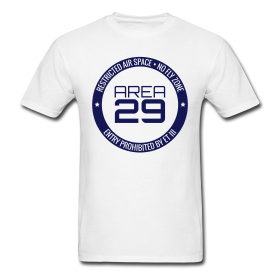 29 to go anywhere either, given the way they play when he’s at full strength leading their defense. 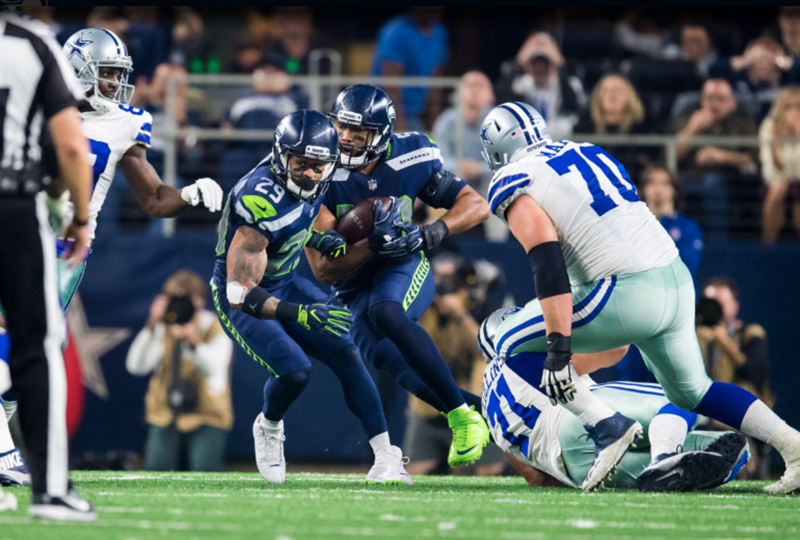 It was on full display in the Christmas Eve win over Dallas, as Earl led the squad with 11 tackles including one that stopped Cowboys quarterback Dak Prescott short of the goal line, forcing Dallas to settle for a field goal that was missed, maintaining a double-digit Seattle lead late. 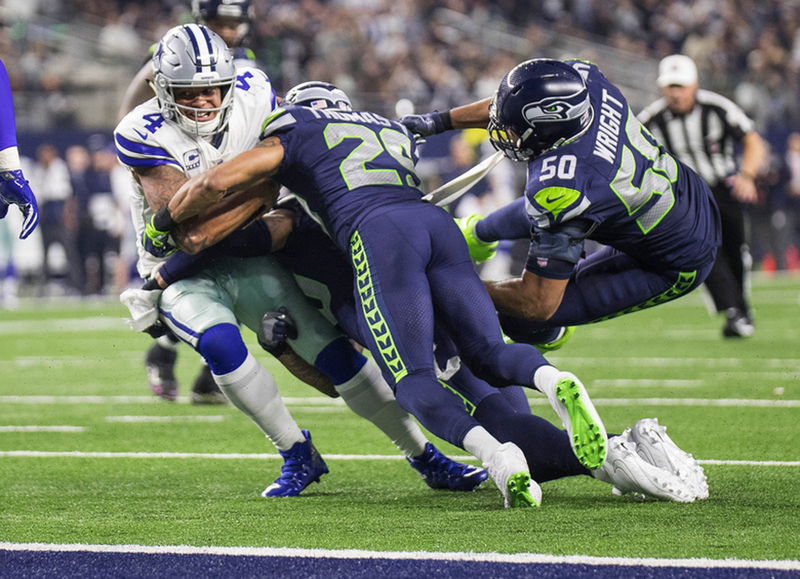 Earl was also in the neighborhood of Dallas receiver Dez Bryant when cornerback Byron Maxwell stripped Bryant after a catch in the second quarter. The fumble was recovered by KJ Wright and led directly to a touchdown that gave Seattle a 7-6 lead. 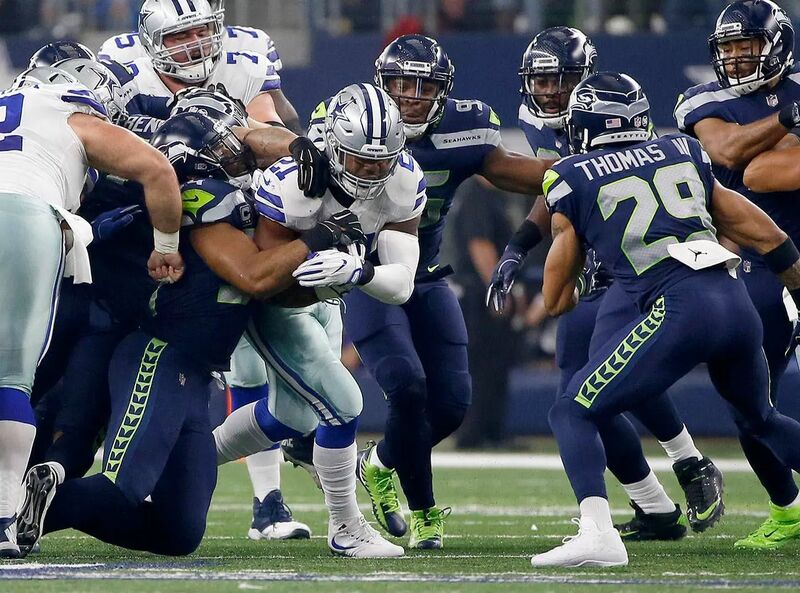 The Seahawks had 14 points off three Dallas turnovers. Two off those three turnovers touched the hands of Bryant first, including a tipped pick, which Earl called karma after Bryant had talked smack on a big play earlier in the game. 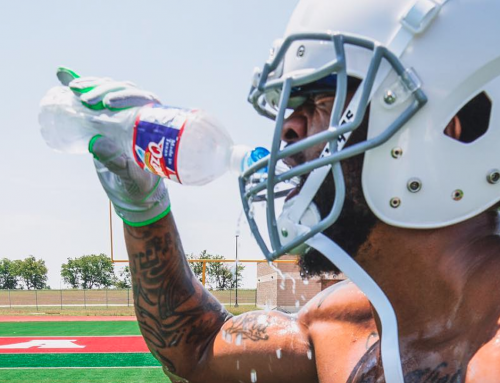 In fact, it was that back and forth that led Earl to the Dallas locker room in the first place after Sunday’s win. He wanted to talk to Bryant, a fellow Jordan Brand athlete, Texas native and friend. As for his comments to Garrett, the Dallas coach, Earl said he’d only look to Dallas if the Seahawks sent him packing at the end of his career. 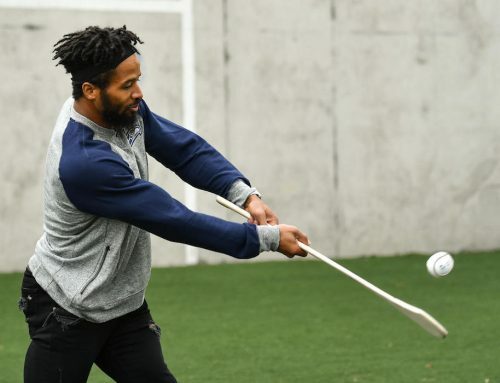 But an in-his-prime Earl is intent on continuing to lead the Seahawks. In fact, after Seattle wraps what they hope is another playoff season, No. 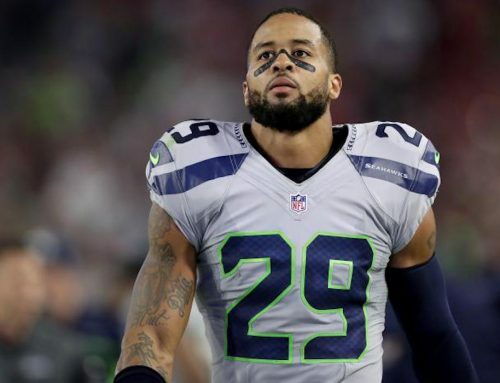 29 would love to renew conversations on an extension of his contract, which ends after the 2018 season. But those conversation, he said, are on the team to re-open.